Since April 2015, more than 100,000 people have fled Burundi, escaping political turmoil. Many people fear growing violence and continued unrest. With no resolution in sight, thousands of families and individuals began seeking refuge within Rwanda’s borders. ARC was called to action, and within days our Rwanda team led the construction of Mahama Refugee Camp, a new home for these Burundian refugees. By June 2015, Mahama hosted over 28,000 people, all of which required immediate emergency services. Many had walked hundreds of miles, often separated from families and loved ones. As the refugees streamed in, we built a sea of shelters and community structures, creating a functioning city practically overnight. We built the camp’s hospital, clinic, and nutritional center, serving many children who were suffering from severe malnutrition and other medical complications after their long journey. We are still hard at work at Mahama, getting these families what they need to survive. At the hospital, doctors and nurses see over 200 patients a day. New shelters were built, along with showers, latrines, and kitchen areas. The ARC team continues to work long days and nights to make sure we do everything we can to help the families of Mahama. 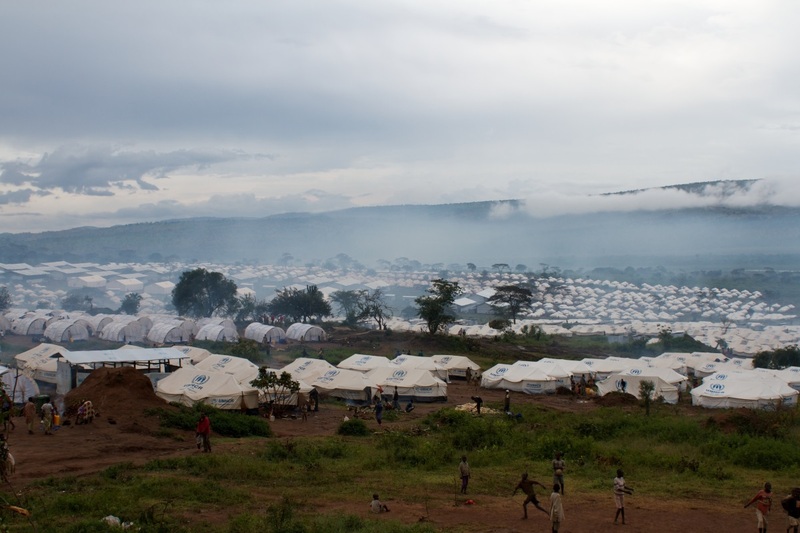 Home to nearly 50,000 people, it’s now larger than the other 5 camps in Rwanda where ARC works with Congolese refugees. As the crisis goes on, we’re looking towards longer-term solutions that include semi-permanent shelters and economic recovery programs, ultimately helping these refugees to regain their footing. Conditions in the camp are difficult and many people have had to leave their families behind, but by providing the necessities for survival and helping them navigate through this time, ARC is helping people to rebuild and reclaim their lives.